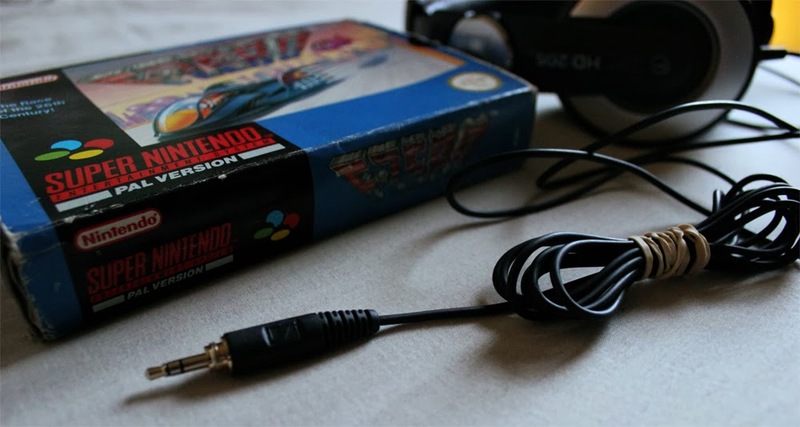 I've recently been delving back into the 16-bit era of the Mega Drive and SNES: I was born at the end of the 1980's and so whilst growing up these were the two consoles that were around and made an impact on my early childhood. We had a Master System at one point prior but honestly, all I remember of that period is being terrible at Alex Kidd! Through rediscovering the 16-bit era one of the things that really struck me was the role that the music and sound effects played in comparison to games released nowadays. When I play a retro game the sound is as important as the visuals, it is a character in its own right and adds a tremendous amount to the feel of the world and to the overall enjoyment and excitement; that's not to say that modern games don't try to achieve a similar effect but with older games the function that the sound plays is a lot more transparent. As we moved forward from 16-bit to CD sound I felt we lost an important characteristic of game music yet it also enabled the creation of unique and interesting soundscapes. Below I chronicle some of my all time favourite pieces of video game music from across the ages. Click here to jump straight into the full playlist or enjoy each piece individually below. Let me know in the comments what you think of these picks and tell me - what pieces of video game music do you love? It's hard to pick just one Castlevania track for this list but for me the soundtrack to Castlevania II for the Game Boy just trumps every other Castlevania. It pushes the Game Boy hardware to the limit with some incredibly catchy and technical musical marvels. There's something about the Game Boy's sound quality that I really love and this game uses its brittle synth sounds to the max! The game is great if you like your old-school style Castlevania and I come back to this often just for the music. I love the Cloud Castle theme in particular but they're all phenomenal. An absolute classic of a track, the speeding synth lines compliment the futuristic racing perfectly and add to the overall intensity. F-Zero for the SNES has some incredible tracks but Big Blue - whilst being the most popular and well known of the tracks - wins out for me. An iconic track that fits the game perfectly and cemented its identity. It shocks me that the composers haven't done more noteworthy games, I wonder whether they still make music in some capacity. Ikaruga is an on rails shooter from Treasure that is incredibly difficult, you'll be hearing the music to Chapter 1 time and time again as you start from the very beginning over and over. But it's a joy to start a new game of Ikaruga as not only is it one of the all time classic shoot-em-ups but it has incredible music that is full of life and fits well with the style of gameplay and graphics. The music for this game was composed by the game's Director, Hiroshi Iuchi, that's something you don't encounter often. One of my all time favourite games and soundtracks, the track Rave On from Killer 7 is one of the more 'normal' tracks in the game but it appears in such a strange place that it will forever live on in people's minds. You listen to the track just prior to every boss fight in a tiny room with nothing but a staircase, it only takes 5-10 seconds to run through this hallway but you'll find yourself stopping to hang about and listen to the pumped up techno music time and again! Incredibly underrated game I might add. Probably THE all time classic video game theme, I like this Game Boy version in particular as I love the rough synth sounds that the Game Boy produced. This is an epic track that just screams adventure and wonder. A stone cold classic track that is incredibly recognisable and iconic. Not much that I can say that hasn't already been said about this one. Technically this track doesn't appear during gameplay but I love this unashamed James Bond homage, with it's incredible visuals of snakes, camo and psychedelic editing. It's incredibly tongue-in-cheek but somehow fitting. I love it, every time I'd play this game I couldn't bring myself to skip the intro. Really nostalgic track that gets you ready to plunge into the game. It was hard to pick one track out of Outrun's iconic tracks but in the end I went for the ol' reliable Magic Sound Shower. The first time I played this game was on the Sega Saturn as part of the Sega Ages compilation, and I was lucky as it's a near arcade perfect port that holds up phenomenally well to this day. I vividly remember the first time I saw the music select screen: gentle waves crashing in the background as you turn a radio dial to pick one of the three songs, such a masterstroke. Click here to see what I mean. That song select screen was a very small moment in gaming but easily one of my all time favourite gaming memories. This track only really makes sense when put in context, the original Resident Evil was one of the first major games in the Survival Horror genre. In Resident Evil you have to survive through a mansion full of zombies, dogs, spiders, snakes etc etc. On the first play through it can be an incredibly nerve-raking and difficult experience as you try and maintain your health and ammo supplies. Your only real safe heaven is one of the Save Rooms with their typewriters for saving progress and soothing but ever so slightly creepy music. As a kid I'd stay on the save screen for a bit just to catch my breath. A brilliant game, and like the Outrun song select screen, a classic moment in game music. The composer is unknown as the original credited composer has admitted to not writing the music as he was going deaf at the time. Ridge Racer marked the very beginning of the original PlayStation, if you look at the spine of the game's case you will see it is 0001 (at least in PAL regions anyway!). The soundtrack utilizes CD sound technology to produce music that is technologically unlimited. The soundtrack is - as you'd expect from an arcade port - extremely loud, bright and distinctive and features an early 90's techno sound; yet rather than sounding like any old techno it is built from the ground up with gameplay in mind, giving it an unusual feeling of being both extremely familiar and alien. Ridge Racer, with its remarkable 3D visuals and blaring music, cemented Sony's place in the video game world from the word go, a bold statement that gaming had finally caught up with the arcade. It was also one of the most fruitful era's for Namco with some incredibly iconic games released in quick succession. It was hard to boil down the classic Mega Drive era Sonic games to just two tracks as all the games are packed with amazing tracks but in the end I had to go for two tracks that I've always loved, from the very first time I heard them and have stuck with me the most. First up, Chemical Plant Zone from Sonic 2. This is just such a brittle and metallic sounding track but with some great bass through out to stop it from feeling too harsh. It's incredibly funky yet mechanical but most importantly of all it's cool, Sonic was always the rad new kid on the block! I was originally going to have the music from Sky Chase Zone as my second Sonic pick but in the end I went for Icecap Zone Act 1 from Sonic 3 as it is more distinctly 'Sonic' than that track. This is one of a handful of tracks that Michael Jackson worked on for Sonic 3 but ultimately wasn't credited for (he wasn't happy with the limited sound capabilities of the Mega Drive). Michael Jackson's involvement with Sonic 3 has only very recently been confirmed but in all honesty, growing up I could always hear him in these tracks, in how they were composed as well as in all the little samples. In particular I thought parts of Carnival Night Zone were uncannily alike to Michael Jackson's music. Icecap Zone is simply the best snow level music I've ever heard, it just sounds so wintry, you can almost hear the crunching of snow underfoot. Guile's theme is probably the most loved of all Street Fighter II tracks so I went with runner up Ken's Theme to change things up a bit! This is a great track that is somewhat cheesy but also pretty catchy and all round badass! I was surprised to learn that Yoko Shimomura worked on some of the tracks for this game, if anyone has any information on exactly what tracks he worked on that would be great. The most iconic of fighting games, Street Fighter II is known as much for its cast of characters and its fireballs as it for its incredible music and sound effects. It was pretty hard choosing just one Streets of Rage tracks as the series has the most beautiful sounding Mega Drive songs ever but in the end I went for The Last Soul which plays on your way to the last boss. The track shows just what Yuzo Koshiro could squeeze out of the Mega Drive even when it was still kind of in its infancy. The track has so many great twist and turns and layers, it just sounds amazing even today. I love how the synths trail off almost as if they have delay on them. The Streets of Rage series makes a very good case for how unique and raw the Mega Drive sound set was in comparison to the SNES' smoother and more rounded sound. I would liken the sound of the Mega Drive to an electric guitar and the SNES to a piano setting on a fancy keyboard, both sound great but sometimes the raw guitar just wins out. Click here for the Underdround theme. The two most recognisable pieces of game music, the soundtracks to the early Mario games really have stood the test of time. These tracks are almost impossible to listen to objectively as they've become so ingrained into our culture. They're some of the first truly catchy themes and must have gone some way in selling Mario as a character who would be fun to play as. The slight percussive jaunt that runs throughout the Above Ground theme is just genius and keeps you hooked as the melody goes round and round. Probably the most famous piece of video game music and with very good reason. I'd say one of the defining characteristics of the Super Mario Galaxy series is grandeur and wonder, a sense of awe and the ignition of a childlike excitement in the player. The music goes a long way in creating these feelings for the player with some incredibly beautiful arranged strings, horns and orchestra through out the game. My favourite of these tracks is probably Wind Garden as it really captures the sense of infinite space but in a way that feels exciting and free. This is how you make a modern Mario soundtrack. The soundtrack for Tenchu always made the game feel thick with tension and truly put you in the feet of an experienced ninja. It's a shame the games have disappeared off the face of the earth as of 10 years ago but at least we have the first lot to remember fondly. I love this track as it captures that 'oriental' feeling perfectly with the strings but is so incredibly tense that it makes you creep so carefully through the games world. Fantastic music, it would seem his work on this game paved the way as he has since worked on almost exclusively ninja and samurai based games! For many this is the sound of childhood, the sound of addiction, of 'just one more go!'. It loops gracefully and just keeps going and going. I honestly feel that Tetris is half a game without this music, I own the game for multiple other systems but you just can't beat the feel of the Game Boy version. A lot of what makes the Game Boy version feel so right is the sound of the Game Boy itself with its warm but crisp synth tones. A perfect marriage of gameplay and music. Watch the video and research Totaka's Song for yourself; it's such an interesting story and shows how sound effects and musical tropes can become rewards in and of themselves. There is something very mysterious about this track, it's almost random but not quite, it speeds up and slows down for no reason and will pop up in unexpected places. Very intriguing. I never realised just how much of a heavyweight composer Yoko Shimomura was until I started researching the composers behind these tracks. She has done some incredible pieces of video game music and they all share a uniquely confident and grand feel to them. I absolutely love Gaur Plain from Xenoblade Chronicles. I'm not the biggest fan of RPGs but I'm glad I bit the bullet and bought myself Xenoblade Chronicles as it contains some of the most rewarding and downright beautiful moments I've ever experienced in a video game. You start off in a fairly small town (I say small, it's still pretty huge!) before going through some caves, it takes you around an hour just to get through the caves but when you reach the other side you are on Bionis Leg, a huge vast open space full of wildlife, dangers and pure majesty. It is truly breathtaking coming on to Bionis Leg for the first time and hearing this track. I spent hours and hours in this area as I never wanted to leave, it was just so immersive and fantastical. I loved it so much that I made a sound piece that is loosely based on the area that you can listen to here. A phenomenal game and soundtrack, breathtaking stuff. Last but not least we have the intro video to Vib Ribbon, a game from the team behind the more famous PaRappa the Rapper and Um Jammer Lammy series. Vib Ribbon is a rhythm game where you have to press buttons in time to music to help your rabbit-like creature avoid obstacles, it is all presented in this incredibly unique wireframe graphic style which still feels striking and almost controversial to this day. Like the Snake Eater intro video I find this intro very hard to skip, it's just too much fun to watch. A great game that I really regret selling all those years ago. Thanks for getting this far! Do you agree or disagree with any of my picks? What are some of your favourite pieces of video game music? Let me know! Great list! I had no idea Vib Ribbon existed, but now it's definitely in my list of "Catchy weird stuff" along with Katamari Damacy. And yeah, the Genesis sounds great at full-blast; too bad not many composers knew how to really use it. Thanks! Vib Ribbon is a beautiful little gem, feels a little like a tech demo though so don't pay a fortune for it. Currently writing up my Top 50 Game of All Time list so look out for that. Thanks for reading.